Lawyers for Guantanamo Bay inmates have claimed “all but a few men” are on a hunger strike over their Qurans being taken away. The condition of the strikers “appears to be rapidly deteriorating and reaching a potentially critical level,” they said. 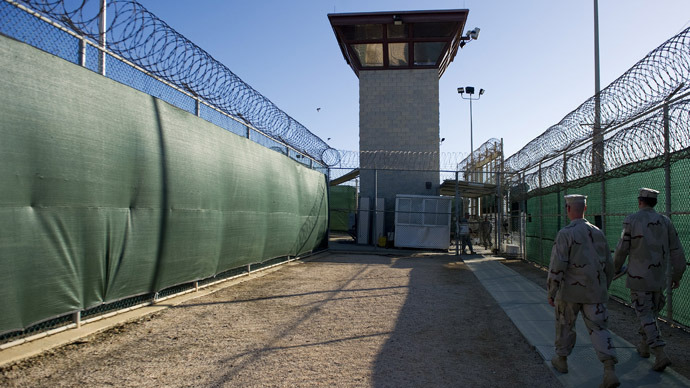 Most of 130 people housed in Camp 6 of Guantanamo Bay may be involved in the strike. “My client and other men have reported that most of the detainees in Camp 6 are on strike, except for a small few who are elderly or sick,” Pardiss Kebriaei, a New York lawyer representing Yemeni detainee Ghaleb Al-Bihanim, told AFP. Men have reported coughed up blood, lost consciousness and were forced to move to other wings of the facility for observation. 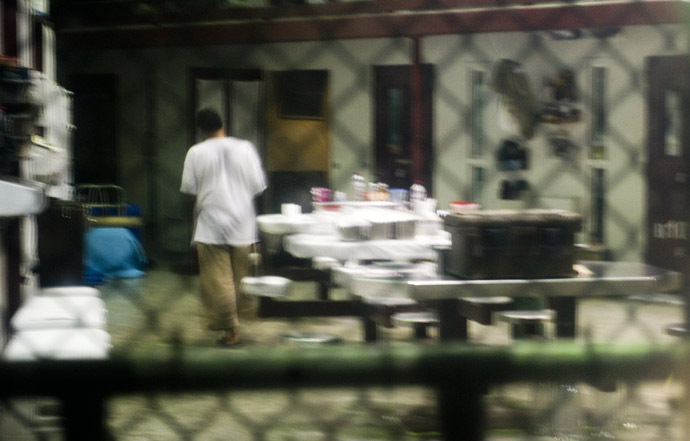 The first reports of the widespread hunger strike in Guantanamo emerged in early March. The protest was allegedly sparked by interference with the inmates’ personal belongings. “Since approximately February 6, 2013, camp authorities have been confiscating detainees’ personal items, including blankets, sheets, towels, mats, razors, toothbrushes, books, family photos, religious CDs, and letters, including legal mail; and restricting their exercise, seemingly without provocation or cause,” the Center for Constitutional Rights (CCR) said in a March letter to the US Military. They added that men’s Qurans were confiscated in a “desecrating” manner, and that prayer time was not respected. Most, if not all, of the Guantanamo detainees come from the Middle East, and are devout Muslims. Prison officials have acknowledged that the hunger strike is taking place. However, they deny that it is a large-scale event: Nine detainees are refusing food, five of whom are being fed through tubes inserted into their stomachs, according to Robert Durand, director of public affairs for the Joint Task Force Guantanamo. Durand also said that the claims of desecration of the Quran were unfounded. “To be clear: there have been no incidents of desecration of the Quran by guards or translators, and nothing unusual happened during a routine search for contraband,” he told AFP. Guantanamo Bay is a US Military prison facility opened on the wake of 9/11, as part of the George W. Bush administration’s ‘War on Terror.’ The prison currently holds 166 people, many of whom have spent over a decade there without official charges brought against them. Washington has alleged the inmates are terrorists who plotted or acted against the American people. Guantanamo Bay became a source of heated public debate after it was revealed that US forces had tortured detainees. Barack Obama promised to close the facility at the beginning of his first term as president, but the facility remains open.